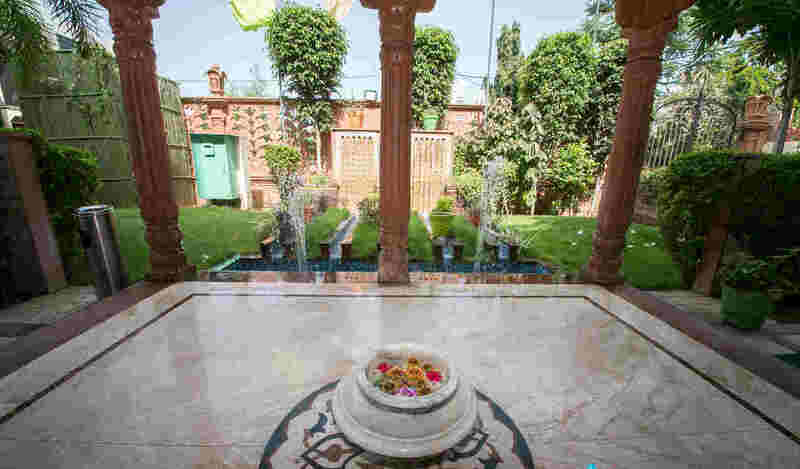 Use the form below to inquire about Heritage Haveli Near Bani Park . Use the form below to reserve for Heritage Haveli Near Bani Park . Get a taste of life in Rajasthan as it was until a few decades ago at this traditional Heritage Haveli Near Bani Park. 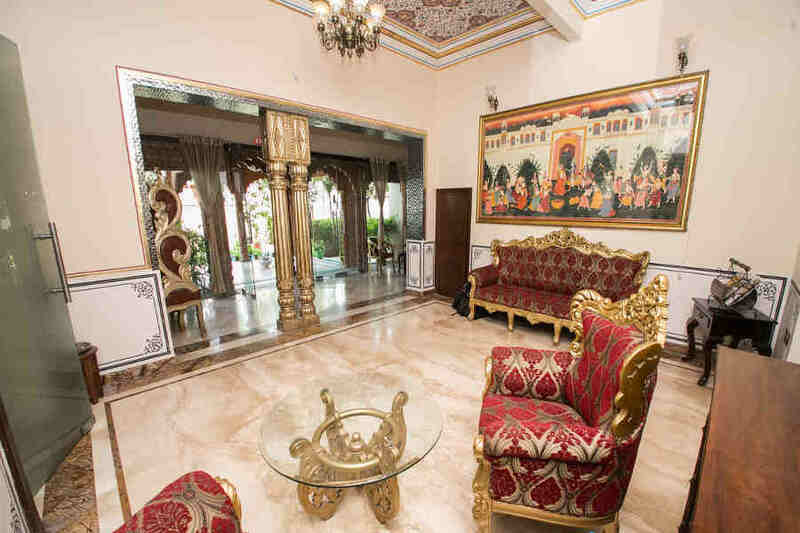 Once the private residence of a notable nobleman of the region, this Heritage Haveli Near Bani Park is today a luxurious abode for discerning travelers. 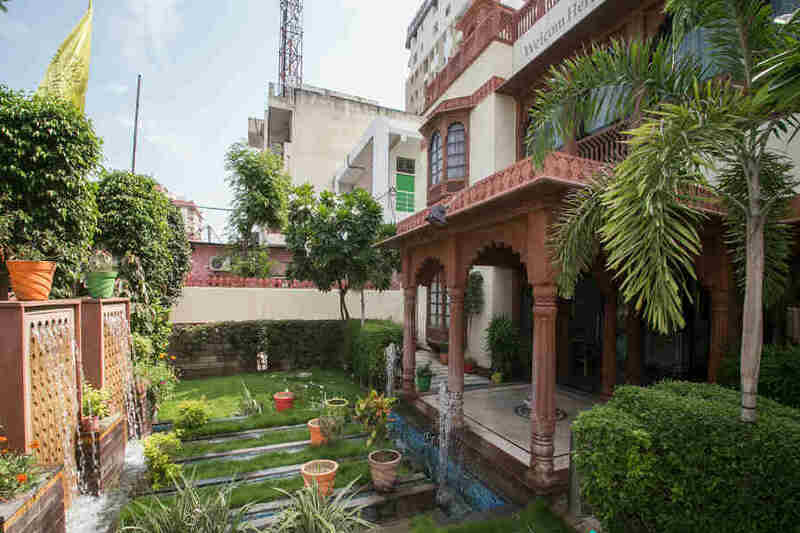 Situated in the Pink City of Jaipur, this hotel is in close proximity to the many sightseeing attractions and landmarks that the royal city has to offer. Despite being in the heart of the city, this hotel manages to preserve an air of tranquility right from the entrance gate. Constructed in the late 1940s, this Heritage Haveli Near Bani Park is an example of the architectural style common during that era. The red and beige exterior is set off by the delicately carved traditional balconies and windows. 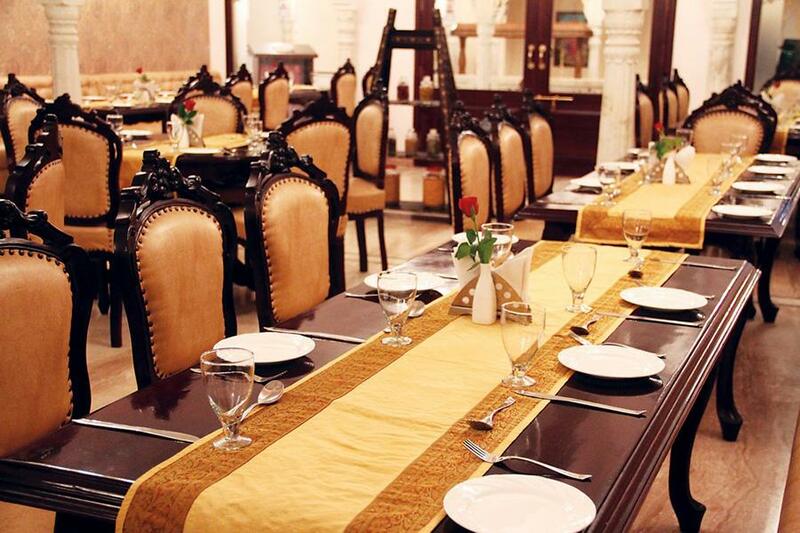 When it’s time for meals, feel free to head for the Indian restaurant serving a wide range of freshly cooked dishes. An al fresco bar makes for the perfect spot to unwind in the evenings after a full day of exploration. Relax with your favorite beverage from the variety on offer as you trade anecdotes with friends, family, and fellow travelers. 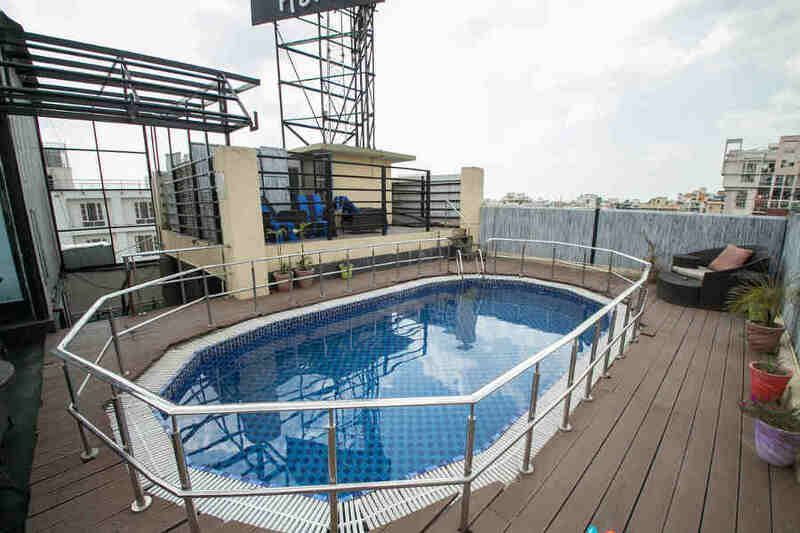 You can also do a few laps at the rooftop swimming pool that beckons you with its sparkling water. And if it’s some pampering you seek, then the onsite spa offering Thai health rituals is where you should be headed after a thrilling day. 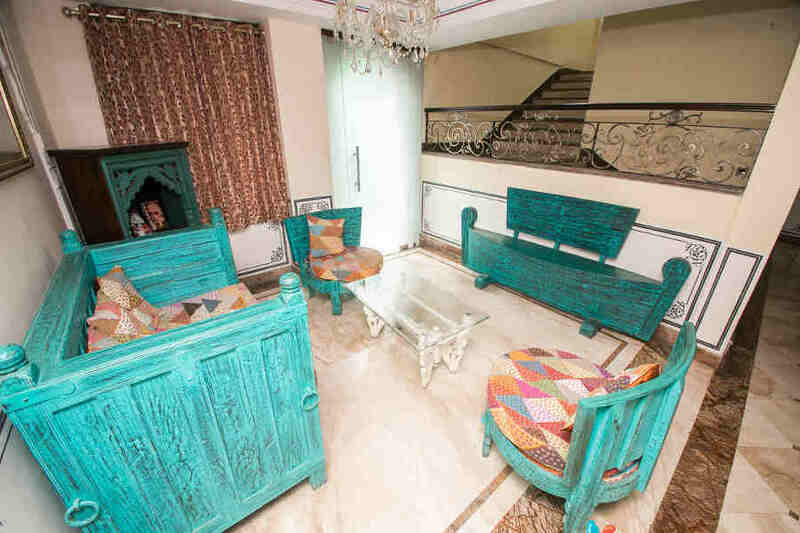 The 24 tastefully decorated and luxuriously furnished rooms in this Heritage Haveli Near Bani Park include three suites. These are categorized into Premium Rooms, Heritage Suite, and Deluxe Rooms. All the rooms are air conditioned and feature amenities like a mini bar, LED TV, and coffee maker. Wispy curtains, four poster beds, and oversized couches hand carved from wood are what you will find. A great place to call home while away from home! The stunning swimming pool on the property is ideal for a few laps to start or end your day while the onsite spa is the place to head for if you are looking to get rejuvenated. 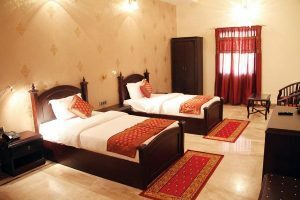 The Pink City had a great many attractions and places of interest which are all easily accessible from this hotel. Hawa Mahal, City Palace, Amer Fort, Jantar Mantar, Galta Ji also known as Monkey Temple, Johri Bazaar, and Jaigarh Fort are just some of the landmarks here. You can also shop for souvenirs from tie and dye materials and apparel to colourful bangles and footwear. Art and craft show pieces and gift items are also found aplenty in this city. If you have always wanted to ride a camel or an elephant, then Jaipur is the place to fulfill these dreams of yours. Don’t forget to add to your list of attractions, the 150-year-old temples dedicated to Lord Lakshmi Narayana and Lord Raghunath. A village walk where you get to see folk arts and performances can also be arranged on request. Jaipur Airport is the closest at 12 km while Kishangarh Airport is 106 km away. Indira Gandhi International Airport, New Delhi, is at a distance of 263 km. 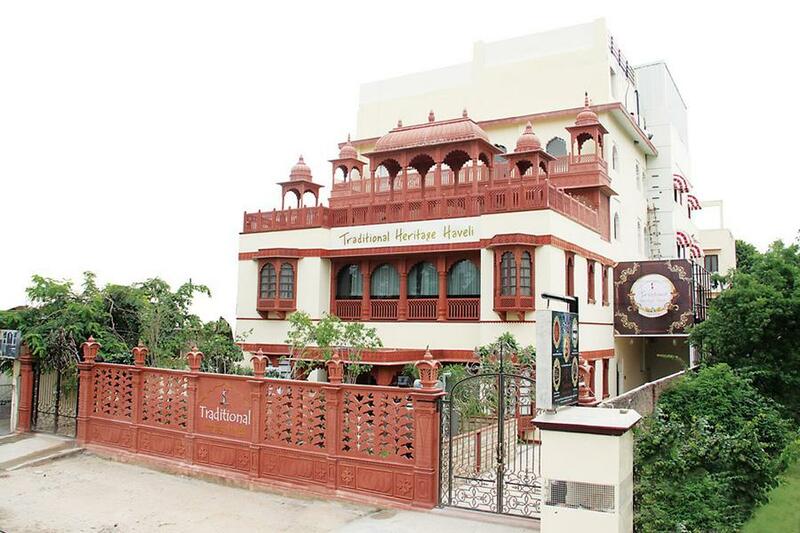 Jaipur railway station is just 4 km from this hotel while Ajmer railway station is 133 km away. New Delhi railway station is at a distance of 275 km. Ajmer is 132 km and Neemrana is 155 km away along NH48 while Agra is at a distance of 238 km via the Agra-Bikaner road. New Delhi is at a distance of 268 km if you take the NH48.